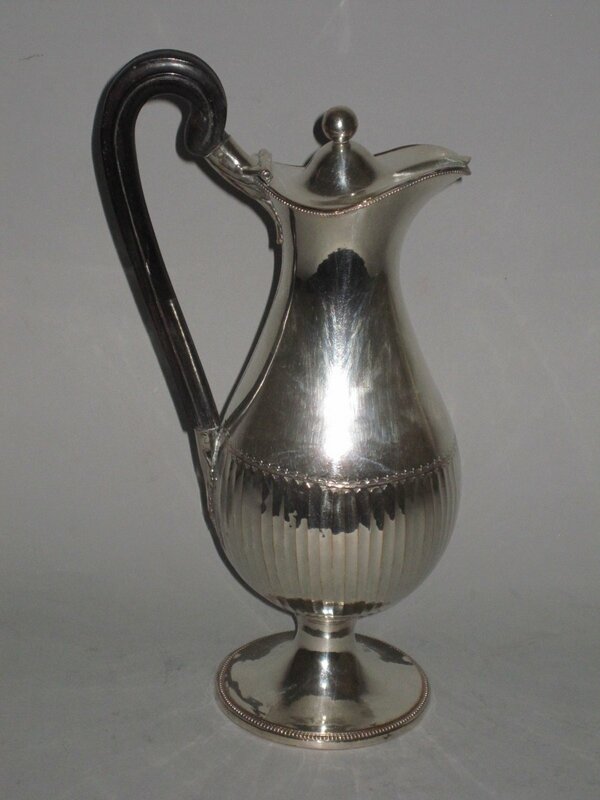 AN OLD SHEFFIELD PLATE SILVER EWER. GEORGE III, CIRCA 1775. Of lidded vase form, of plain body form with lower half fluting, beaded borders, ball finial, scroll handle, on a raised circular foot with beaded border. Provenance: Ex Gordon Crosskey Collection. Illustrated in Crosskey, G., Old Sheffield Plate, Treffry Publishing, 2011, figure 358, page 288.